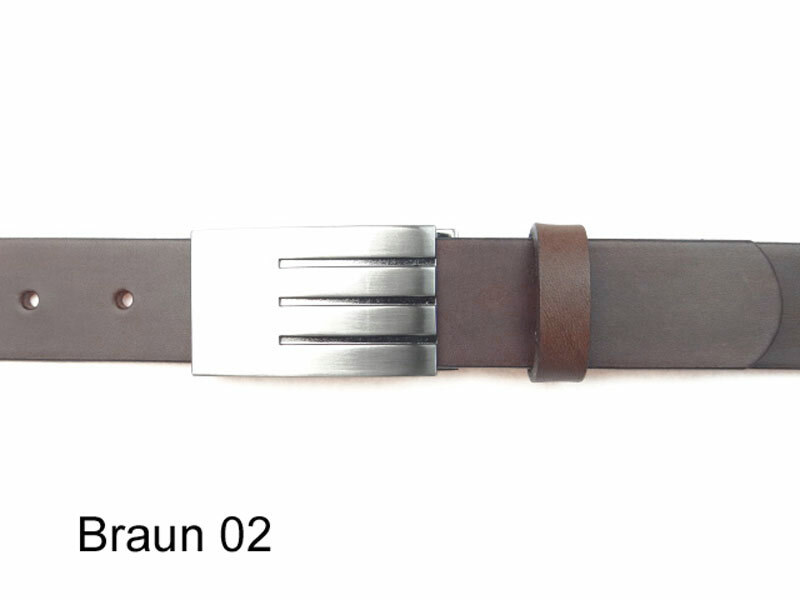 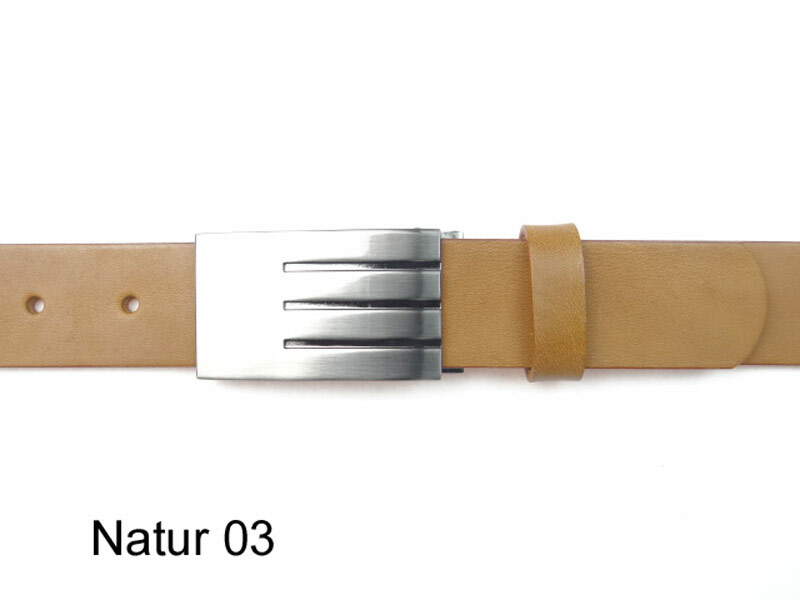 Mens belt featuring a modern, satin-fnish buckle, 3.cm wide. 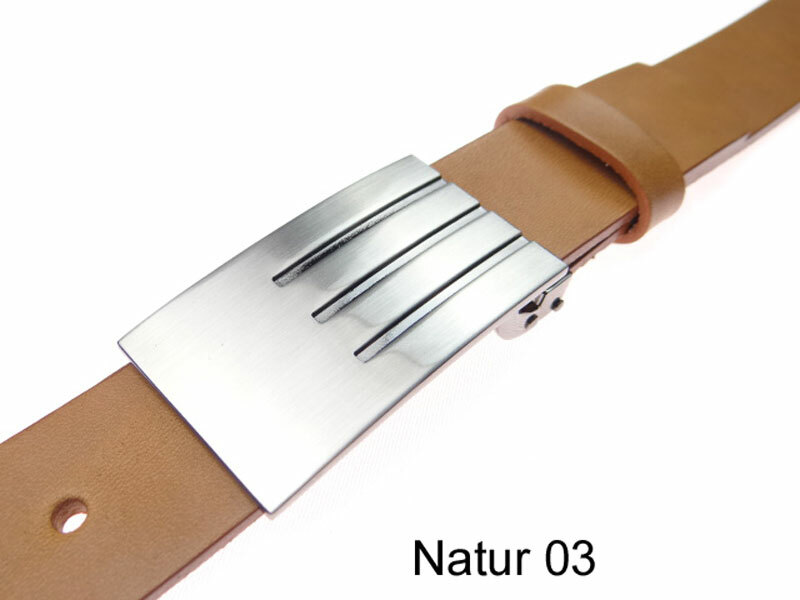 This leather belt is available in 3 different colours. 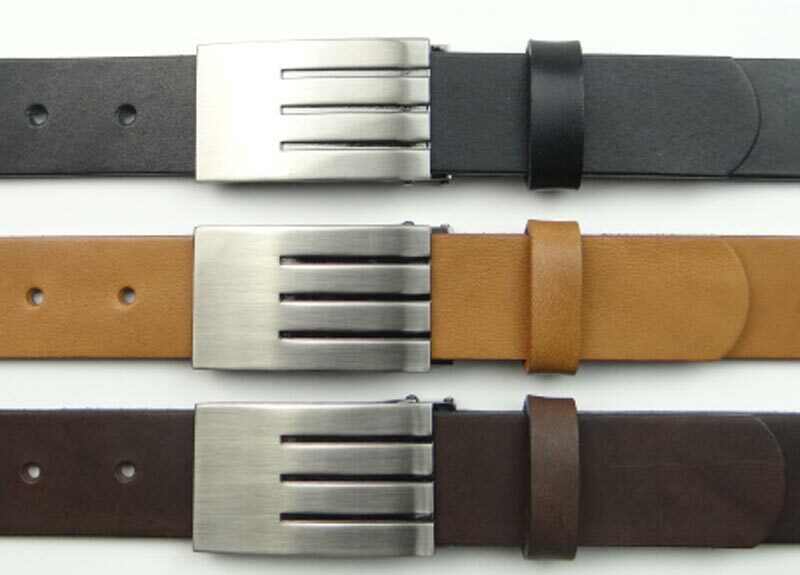 Our belts are hand made from naturally tanned, through-dyed, high quality cowhide.